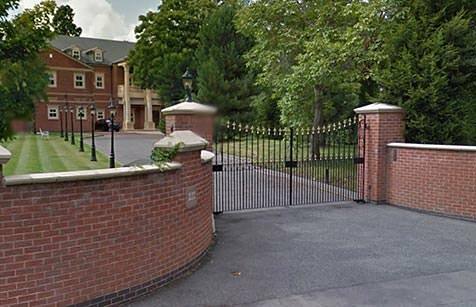 Automated gates, barriers and bollards provide the first line of defence on your premises against intruders. We work directly with an specialist gate manufacturer which allows us to offer a very quick turnaround, with delivery normally in 2 weeks instead of the standard 8-10 week wait. 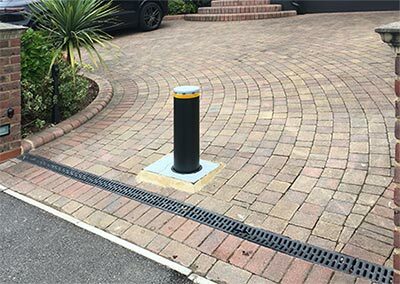 Automatic rising bollards are similarly designed to be a very secure system for preventing unauthorised access. Heavy manual gates are often left open because of the hassle of getting out of your vehicle to open and close them. By contrast, opening and closing your gateway by remote control is convenient, effortless and saves time. The automated gates we supply provide powerful performance and reliability with the highest levels of safety and security. All systems combine long-term reliability with ease of use and include advanced anti-crushing, obstruction-sensing and automatic-locking. Most types of gate can be automated using an electrohydraulic device set either underground or above ground. Our video entry systems offer something to suit any interior and specifications. All these systems provide visual and audio verification of the caller. Systems can be interfaced to open doors and gates. Larger properties benefit from having a number of monitors throughout the property so you don’t have to go to a different floor to answer a call. You can choose between various options and finishes for your entry panel including trade facility, keyless access and coded access. Video cameras within the entry panel can be integrated into your CCTV, TV, radio and satellite distribution system, so you can see who is calling on any TV within your property. CCTV cameras in conjunction with specialist software provides reliable vehicle identification for home, apartment and parking automation. 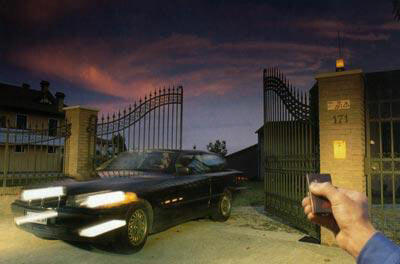 Remote actions and automation with live video can be performed for opening the gate. For further convenience, your automated gates can be integrated into the Control4 home automation system. In this case, when a visitor presses the CALL button, the Control4 system would mute all music around the house and play a ‘doorbell’ sound through your speakers. It could also pause your TV/movie and display the camera feed on any designated TVs and keypads. Still deciding? Read our About Us page.